Anhydrous ammonia is the cheapest form of nitrogen fertilizer on the market. But because it's dangerous to handle and difficult to apply, farmers often hire out custom applicators who work for local fertilizer dealers to do the job. 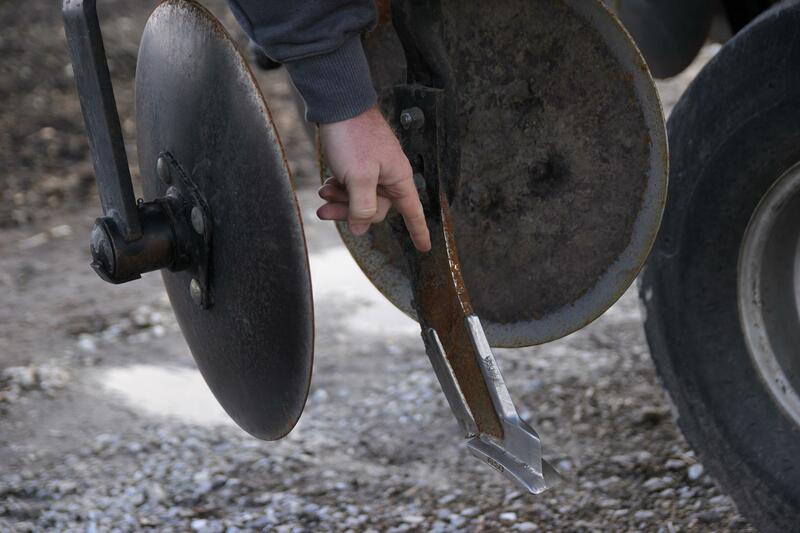 Custom applicator Neal Wickert points to the "knife" that cuts into the soil to deliver anhydrous ammonia underground. Two metal plates, resembling symbols on a drum set, follow behind and build a mount of dirt to seal in the nitrogen. 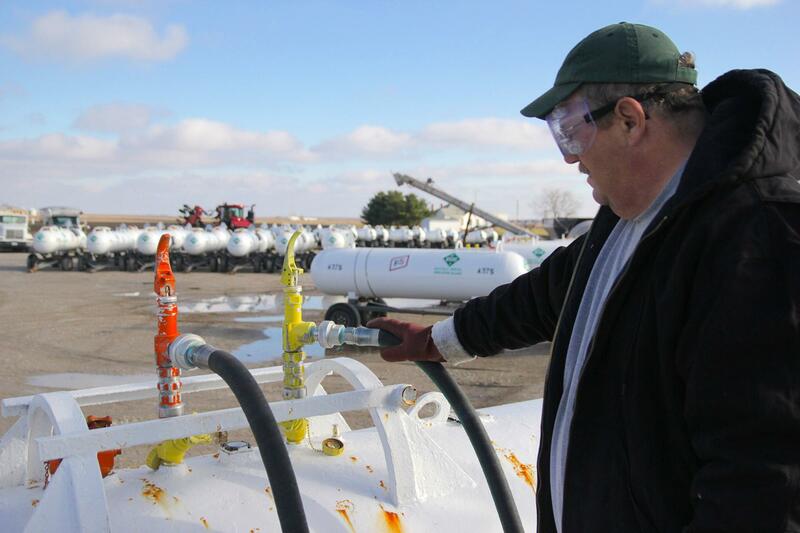 Wickert applies anhydrous ammonia for corn farmers in the fall and spring. 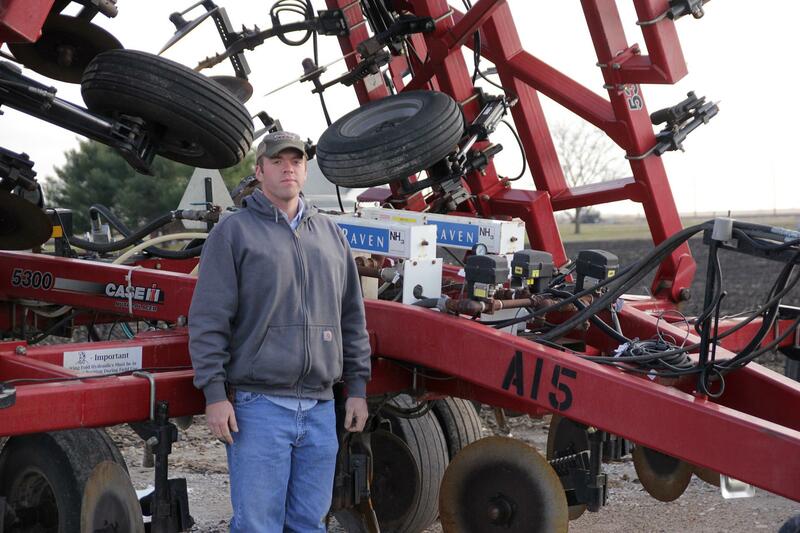 This 21-knife fertilizer rig, pulled by a tractor, costs about $100,000.